Ever travelled to a far-a-way country, returned with a trunk-load of ideas – and actually implemented them at home? That’s just what the irrepressible and talented Jenny Inch did! 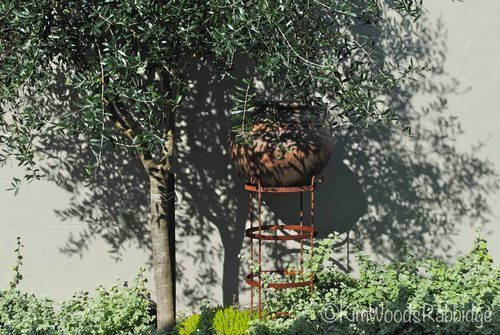 While the weather in northwest Africa may not be similar to Queensland’s Sunshine Coast hinterland, where Jenny and her husband Alister live, the symbiotic relationship between inside and outside living is. 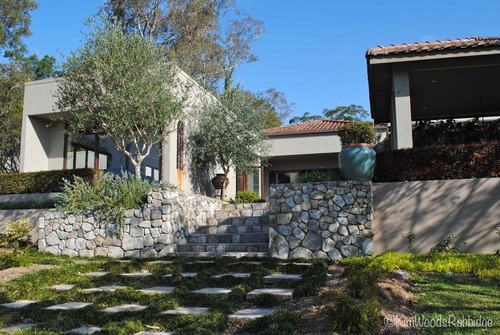 It’s taken just over a decade for Jenny and Alister to create their evocative, multi-faceted home and garden, using Jenny’s creative vision, Alister’s expert plant pathology knowledge, and a tonne of effort from both. A lych gate makes an impressive entrance. Jenny designed their home with the help of an engineer and draftsman. Her aim was to create the feeling of a kasbah; from outside it would appear like a village, with separate rooflines emulating a cluster of dwellings. 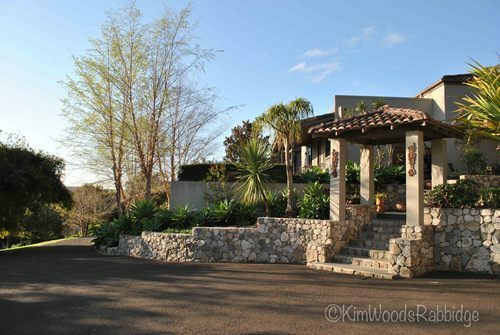 Both Jenny and Alister were very hands-on, assisting the builders and stonemasons to create their abode. Several courtyards are incorporated around the home, which sits on the highest point of the block, facing 5 degrees west of north. 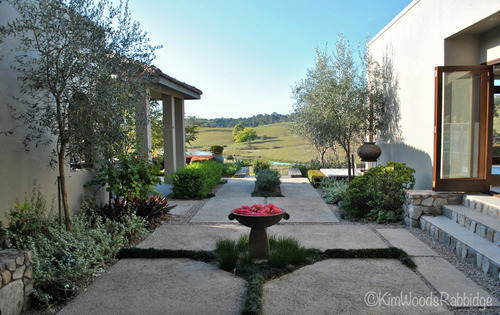 “I wanted to walk in the entry and just see the sky, not the soffit. Those sorts of things were adjusted as we worked.” she says. The central, sheltered courtyard (in Morocco it’s a riyad) is paved with large Pebblecrete slabs interspersed with mini-mondo grass. 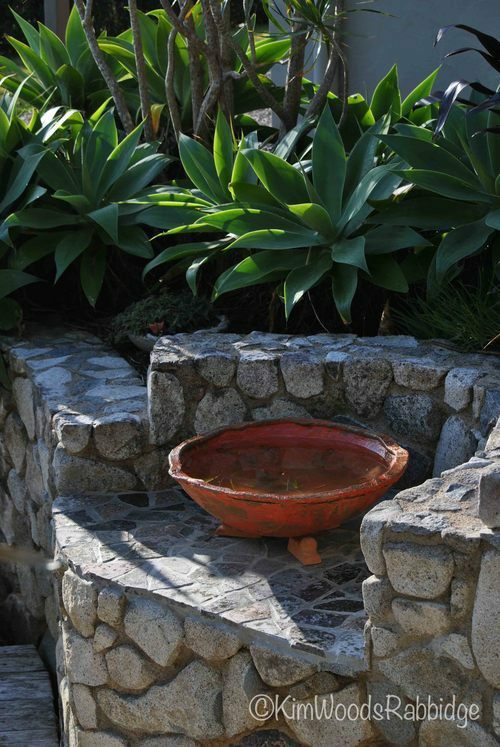 Olives flank the walls and after rain showers, zephyranthes burst into flower beneath the birdbath. “In Fez the buildings are humble on the outside but often beautiful inside. I loved the rustic doors, and old pitted walls. In Marrakech there were streets lined with rose bushes and in homes, marble dishes filled with roses,” she says. 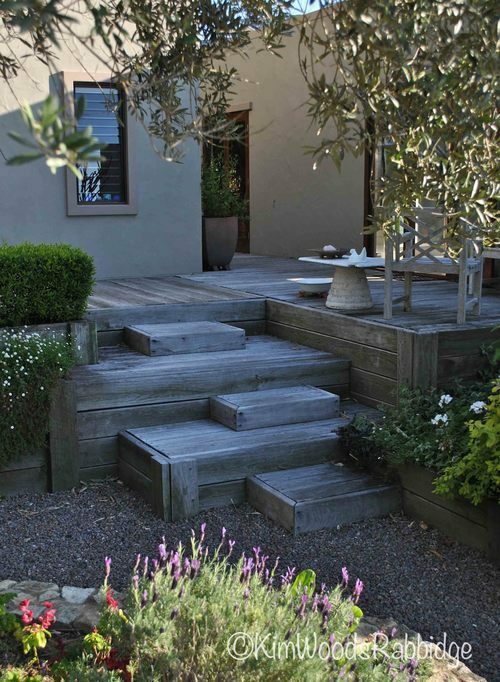 Timber pavilion steps built by Alister have weathered to a silvery grey. 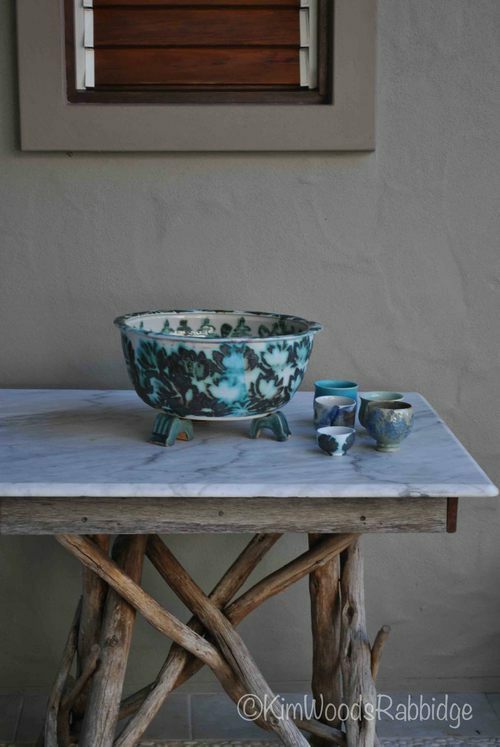 “I’ve kept colours neutral, blending hues of tree trunks, earth – and rocks such as jasper.” Jenny says. 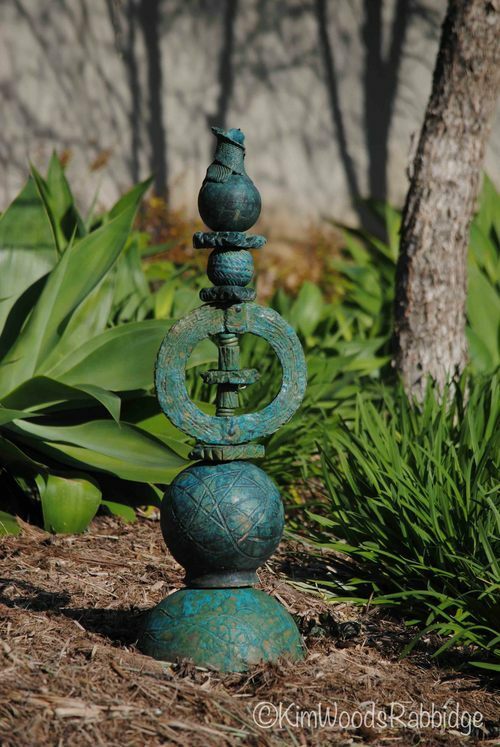 Earthy tones used were inspired by the patina of Moroccan adobe walls. 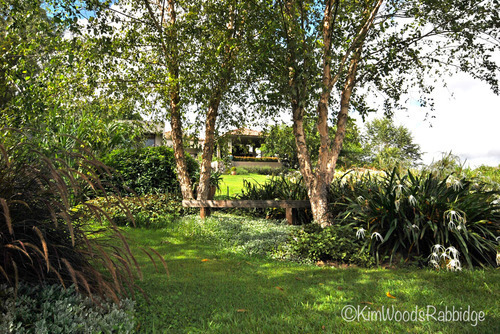 Guests can enjoy the solitude of the western verandah, sheltered in the summer by magnificent tropical birch trees. Jenny appreciates the min-a-min murraya hedge bordering the lawn, both when it’s freshly pruned or when it’s covered in new fluffy growth. 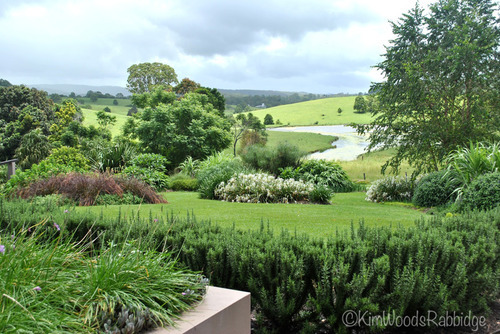 The 1.3-hectare property overlooks Lake Brolga and picturesque farmland. 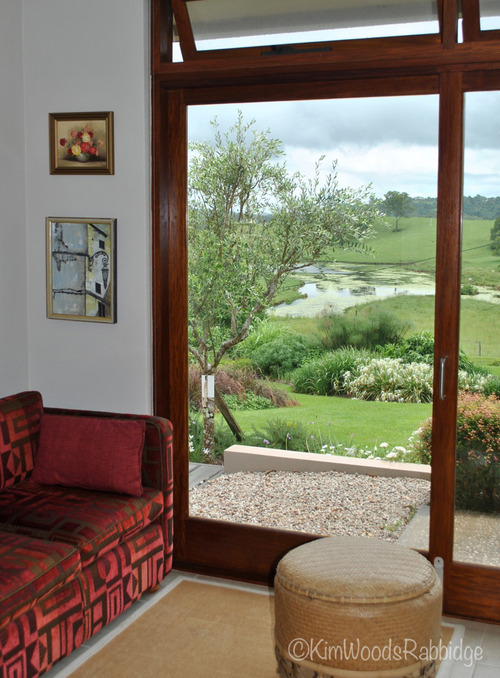 From inside, garden vistas are framed superbly in every room. 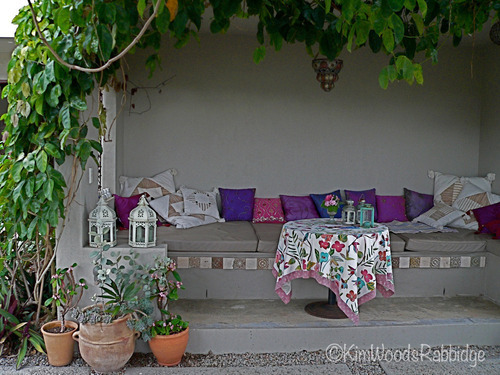 Outdoor living areas are integral to both Australian and Moroccan homes. 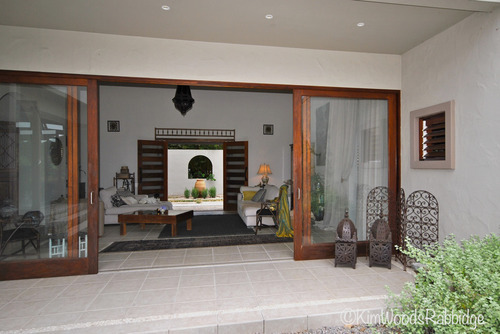 Off the central courtyard are a dining area and a garden pavilion, known in Morocco as a menzah. A rare jade vine (Strongylodon macrobotrys) adorns the walls and when in flower, its pendulous racemes appear like a veil. 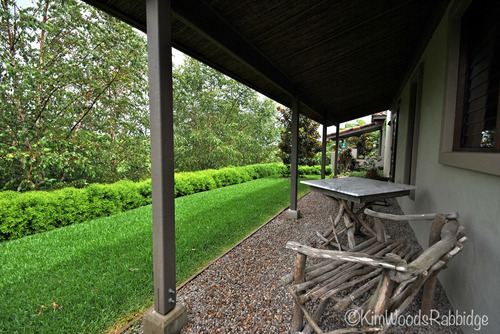 From inside, it’s difficult to establish where the home ends and garden begins. 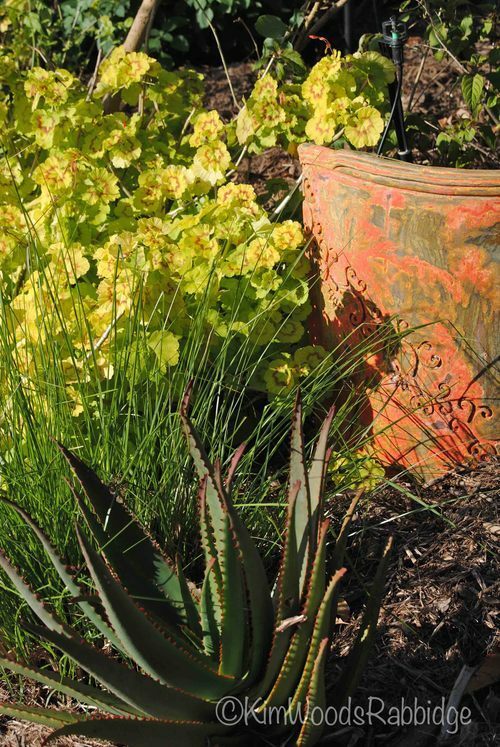 Colour and textural combinations are essential elements on Jenny’s radar: the dramatic foliage of the hybrid aloe ‘Southern Cross’ contrasts strongly against fine grass, lemon-lime scalloped leaves of a pelargonium and an attractive ceramic disc. 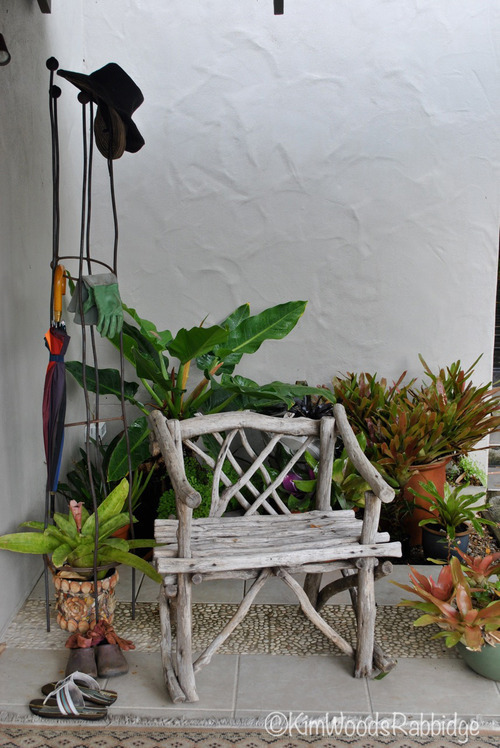 Pockets and nooks provide pots and sculptures a stage of their own. A symphony in green with an intermezzo of white, grey and burgundy. Throughout the garden mauves, blues and pinks form rhythmic waves, while white, and occasional splashes of yellow add highlights. A clever ploy: mass plantings of soft grasses, pretty salvias, textural plectranthus, and strappy iris and papyrus adorn the garden canvas. 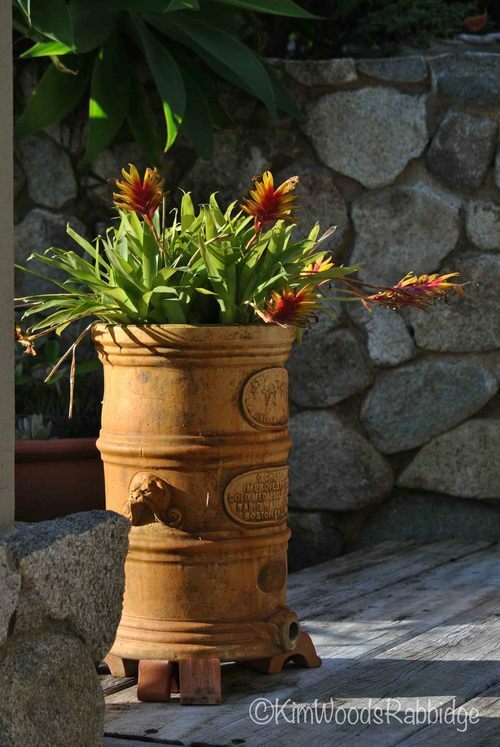 The garden, built on reactive clay, is mineral rich, but a lack of friability would have caused waterlogged plants or, in dry times, exposed plants when soil cracked open. 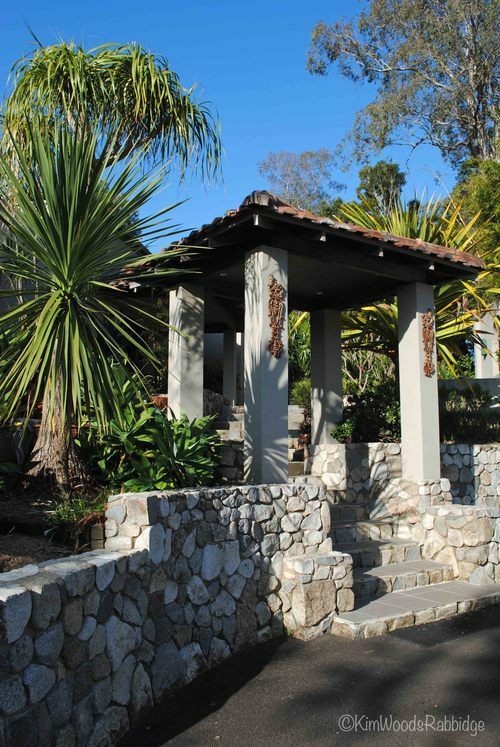 Truckloads of green waste and sugarcane mulch, plus soil conditioners, manure and sand improved texture. 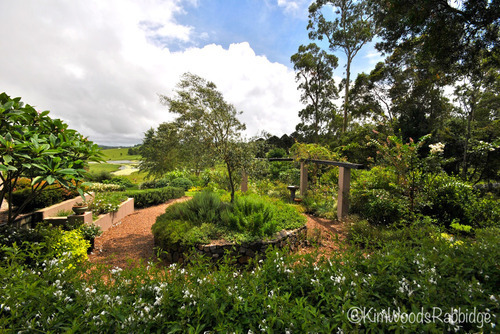 Now matured, the garden creates its own mulch, so there’s less need to import. 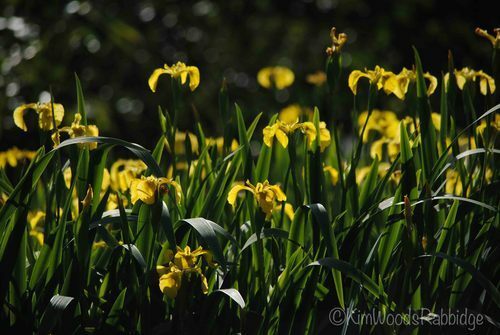 “You only need a couple of types of fertiliser for your garden and it’s best value buying in bulk. We can work out what’s needed just by observation,” Alister notes. 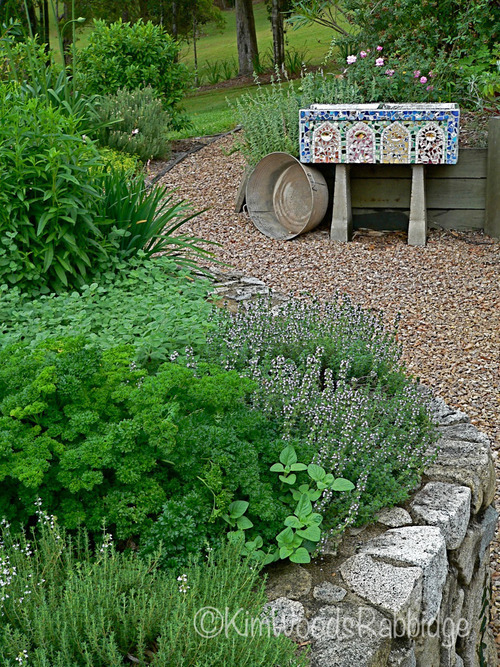 Year-round fruit, veggies and herbs are just some of the rewards. 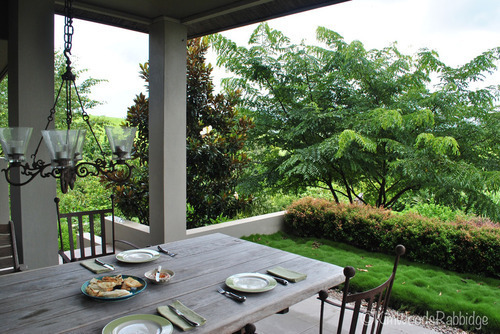 Directly around the home, more formal elements are used including exquisite magnolia Little Gem and hedges of rosemary, plumbago, dwarf lilly pilly (Acmena Allyn Magic) and dwarf murraya (Min-A-Min). 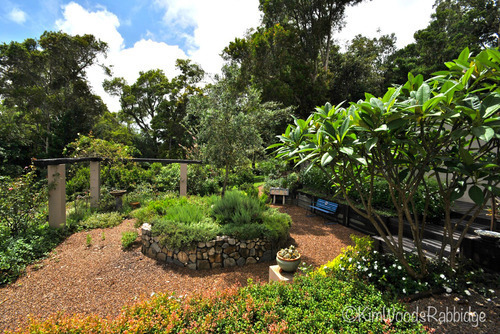 Drifts of plants create flowing transition from one area to another. Zebra grass, plectranthus, gingers and several double white-flowering brugmansias are repeated, defining links. 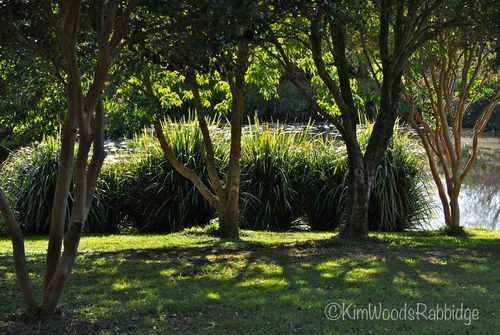 Fountain grass (on the left) sways in the wind while narrow leaved spider lilies (on the right) shimmer. 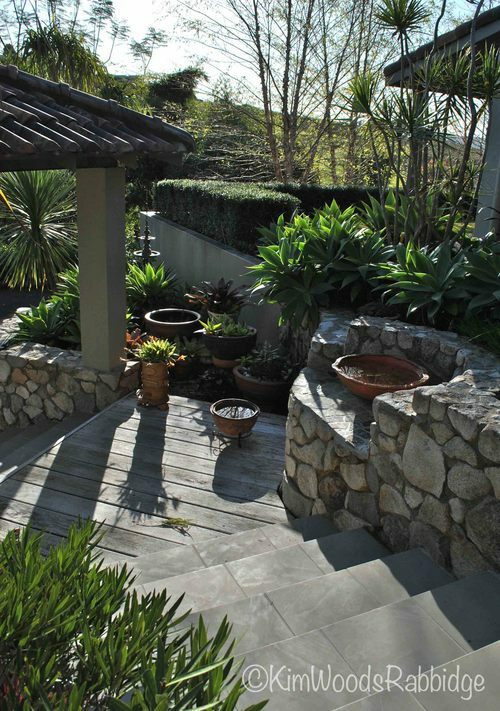 Superbly crafted rock walls support raised herb gardens and surrounding gravel paths make access easy. The main bedroom is in a separate building, facing northeast to catch the morning sun. 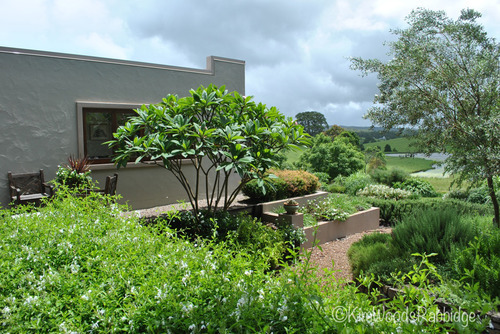 A frangipani shades the window in summer, and allows welcome sun in winter. 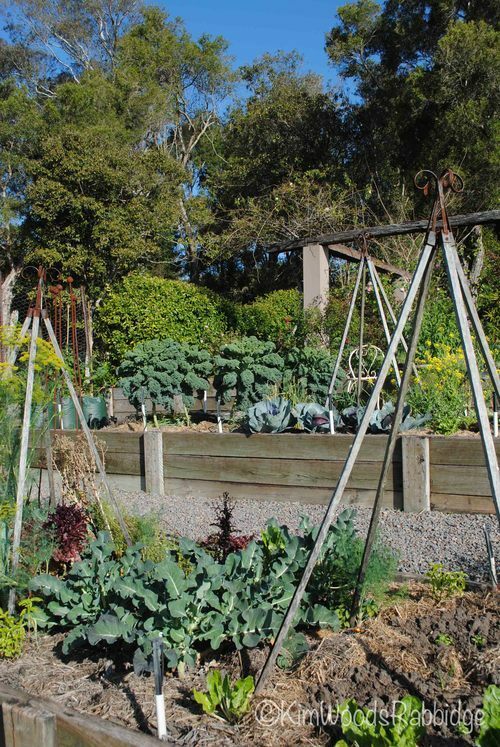 Terraced veggie beds are used year-round. 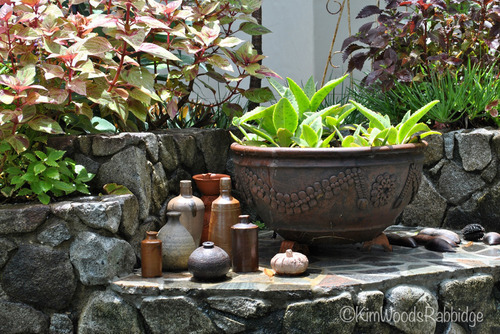 Jenny’s mosaic works are appealing features wherever they appear. Hot hues work well in this riparian area. 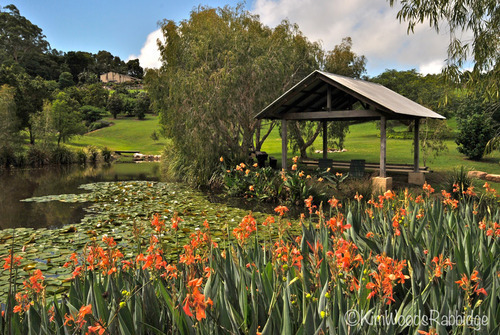 Flames of orange canna lilies fringe the pond, drawing attention especially en masse. 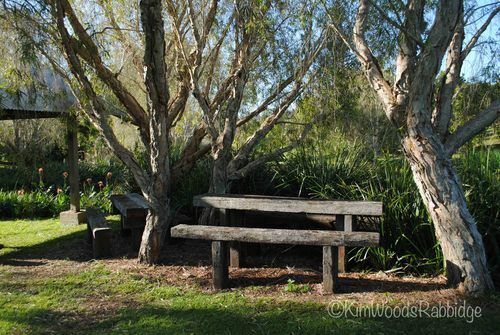 “This is a good spot for picnics,” Alister says, referring to an open-sided shelter, rustic timber seats and tables beneath graceful melaleucas at the water’s edge. 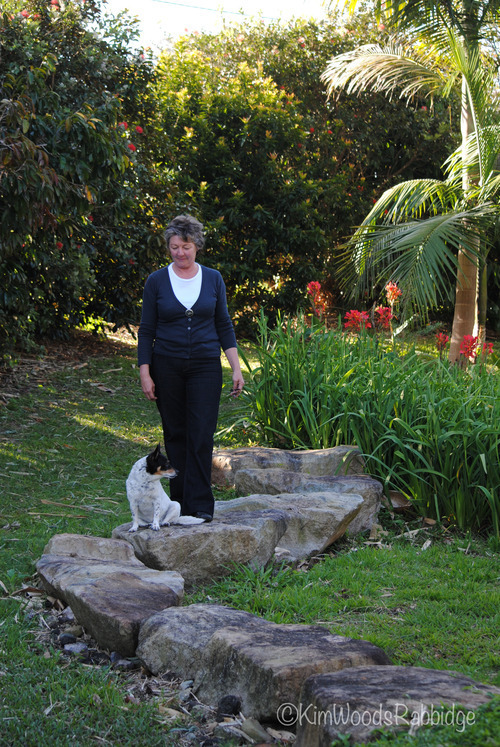 Jenny and Mindy (now in doggy heaven) explore the stepping stones which allow access across the floodway at the bottom of the garden. 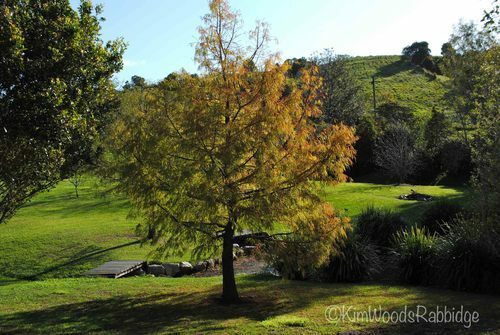 Russet fronds on a swamp cypress in late winter before being replaced with lush new growth. 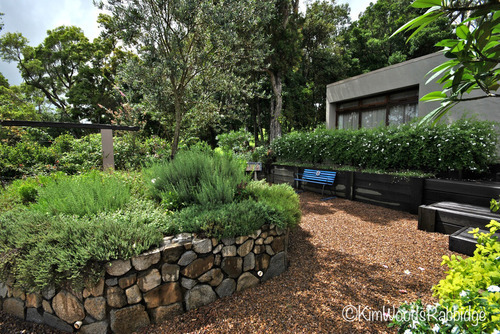 Various shapes and angles around the garden and home allow for a variety of growing conditions. 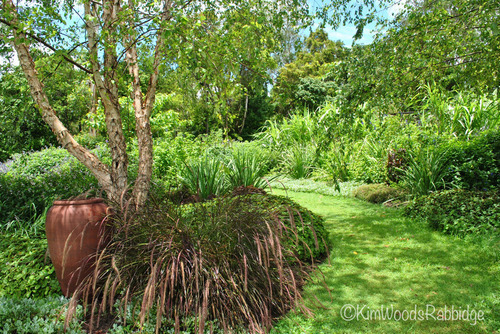 At Murrakaia both the home and garden are sensitively designed, and imbued with beauty. 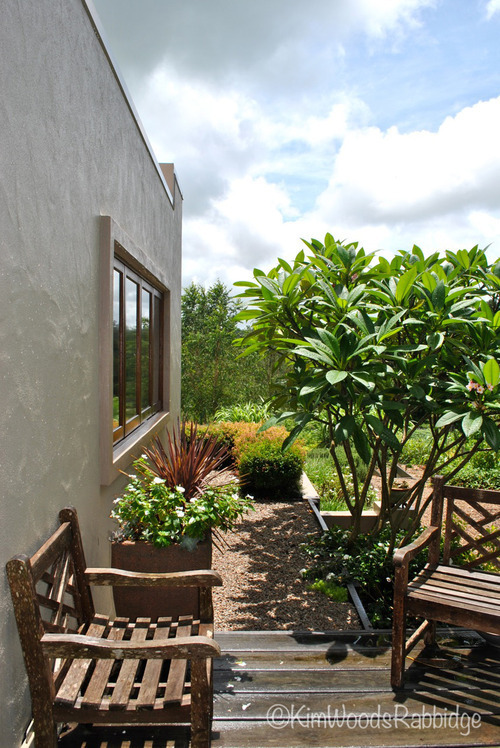 There’s a superb balance between open space and intimate places. Layers of textural diversity in foliage outside, and furnishings inside add a rich narrative. Colour teases and tempts, and lures the visitor on a rich, culturally-inspired journey, without even leaving the country. 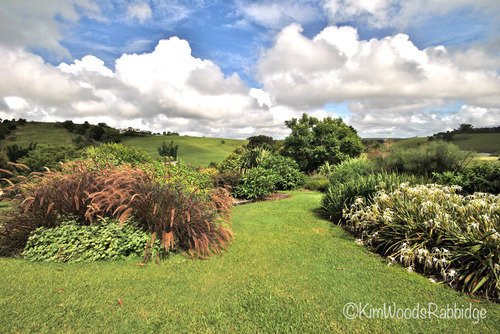 We wanted to share this garden with you now as Jenny and Alister have put their beloved place at Dulong on the market. They plan on developing another garden but are not sure where that will be. Thank you – a very interesting garden. Some people are so clever. 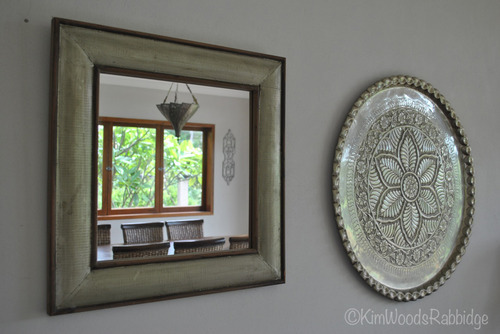 Great story and blog… and as usual gorgeous photography! 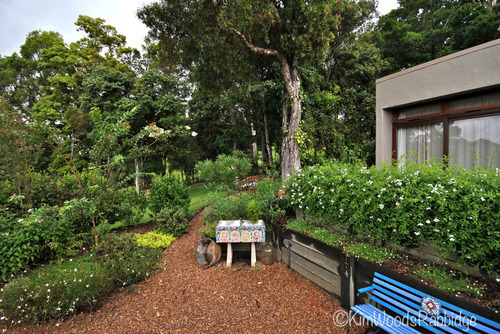 This is a fabulous house and garden in one of the best gardening areas in Australia I think! This post is terrific – I enjoyed the pictures and the commentary.